a lot more cards than before. "Life is fragile...Handle with prayer." Very cute! I love the jars and of course your sentiment is wounderful. Mason jars and doilies make wonderful duets. We appreciate your wonderful art, so creative and beautiful. 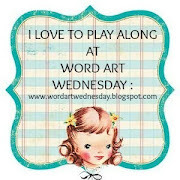 Thank you for sharing with us in the #236-#237 - Word Art Wednesday AG Challenge. These jars are all SO super cute. Thanks so much for sharing them in our challenge, Esther. I hope you're having a blessed week, and I look forward to stopping by again soon. P.S. It's been quite some time since you Guest Designed for me at Word Art Wednesday, and if you're interested in doing it again, I'd love to have you join us. Just let me know. Your card design is wonderful, I love the doilies. What a blessing to the recipients! Thanks for sharing with us at Word Art Wednesday!! So very pretty and simple! Just love these cards!